What is Collision Repair anyway? Some may still know it as Auto Body Repair, but the industry has changed. 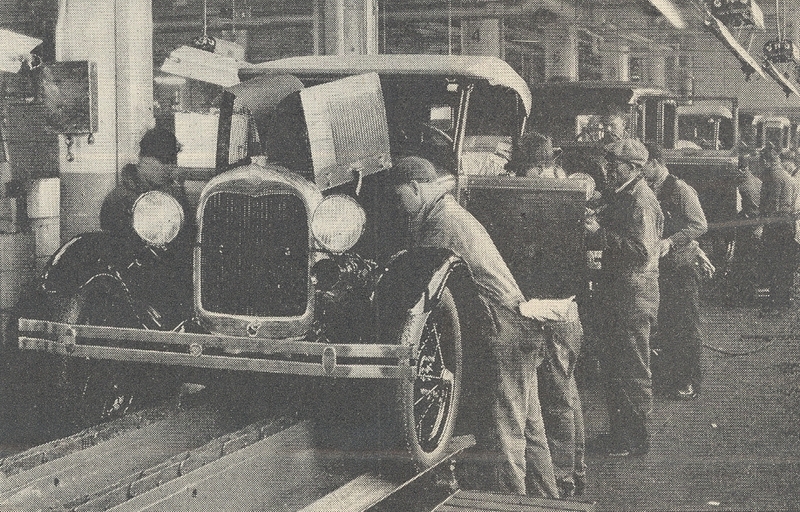 The first automobiles to roll off of Henry Ford's line were available in any color, as long as it was black, and that cheap black paint was put on with brushes and rollers. We've come a long way since then. Collision Repair is the art of correcting the damage people cause to the outside of a car. Everything from a door ding or a key scratch to a hard hit from someone running a red light falls under Collision Repair. Make it appear as if the damage never happened. We're not too far from when we used lead to fill dents and laquer to paint cars, but the technology is. Cars today don't behave the same when hit. Something as simple as a headlight replacement may involve connecting a computer to reconnect the headlight to the steering and suspension system. Fullerton Union High School and North Orange County ROP have partnered to provide you with four years of Collision and Mechanical Repair courses. There are Automotive Technology programs in high schools all over. Collision Repair programs are hard to find. The difference? In and Automotive Technology course, you'll learn the ins and outs of keeping a car running, but you won't learn anything about the paint or body damage repair. In a Collision Repair course, you'll learn how to repair and maintain the way the car looks, in addition to learning the ins and outs of how the car works. Take the car in the picture for example. The Body Shop you take it to will do all the mechanical repairs it needs, and do the body and paint repairs. A mechanical repair shop can only do half of that.